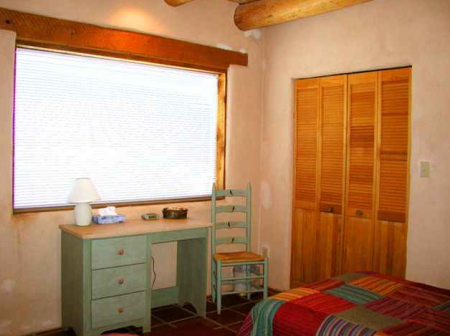 Escape to enchanted Casa Landa 2 BR Ski Travel Home, a serene adobe located in an unspoiled valley between the town of Taos and the Taos Ski Valley. 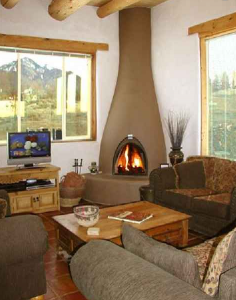 Casa Landa 2 BR Holiday Travel Ski Home Rental features high viga ceilings, radiant heet saltillo tile floors and a classic kiva fireplace. Set on a full acre, the exterior features coyote fencing, stone patio, rock gardens and private hot tub with panoramic views of the Southern Rocky Mountains. 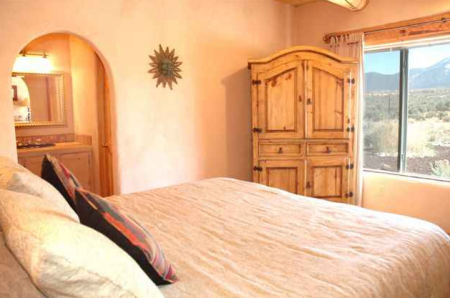 The interior exudes comfort and invites relaxation with hand carved Mexican furniture, deluxe bedding, plush towels, select tableware and table furnishings and a well appointed kitchen. 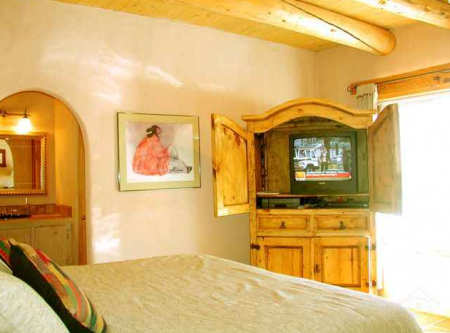 This lovely 2 BR Vacation Travel Ski Home Rental sleeps 6 with a King in the master bedroom, 2 twins or King in the 2nd bedroom and 2 child folding foam futon mats. 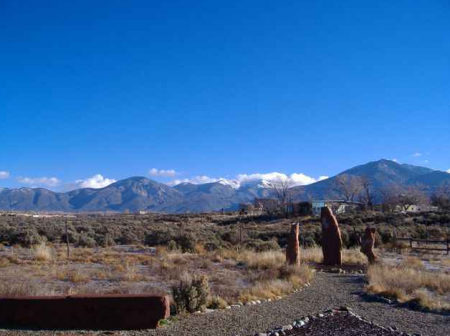 The Taos area is a four season paradise and Casa Landa 2 BR Ski Holiday Home Rental is an idyllic retreat located in the center of all its offerings. 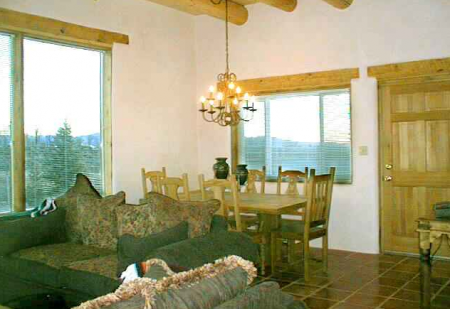 One visit and you will know why many Casa Landa 2 BR Ski Vacation Rental Home guests return year after year to one of their favorite Taos Ski Vacation Rentals.